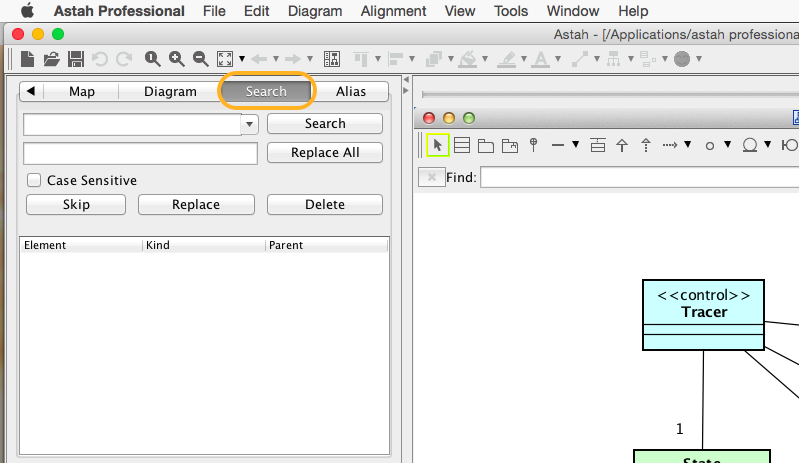 There are two ways to “search” models in Astah. When you want to search in the currently-opened diagram, hit [Ctrl+F] or [Command+F] to open the search field. You can search with Case Sensitive or not from [Option] button on the far right. When you want to search in the whole model, use [Search] tab in the top left pane.